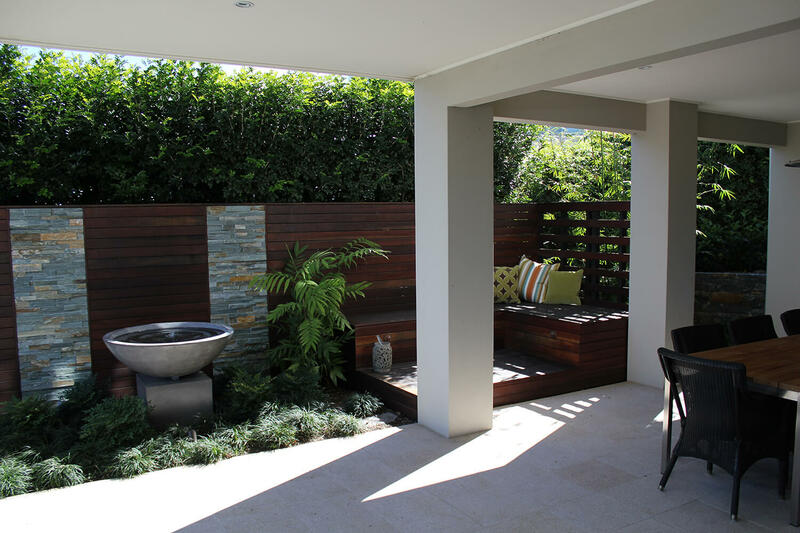 Boss Gardenscapes designed & constructed this garden in a tiny 33 square metre space to become an integral part of the outdoor living area. 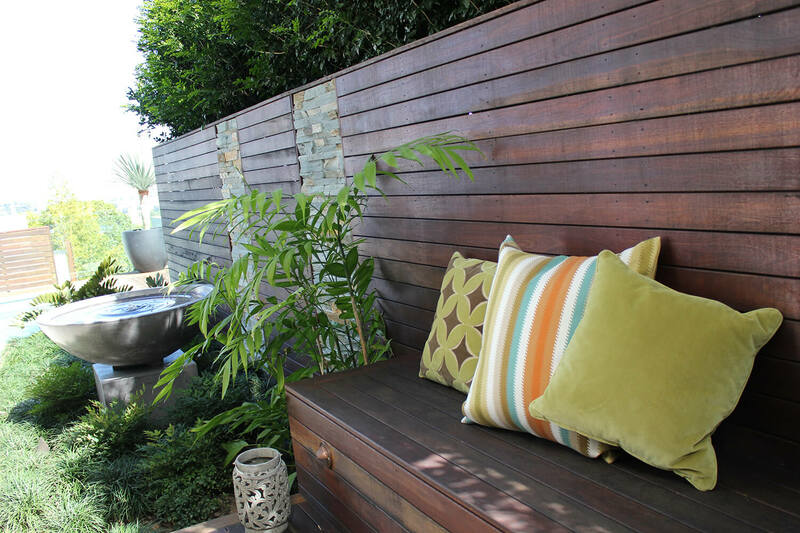 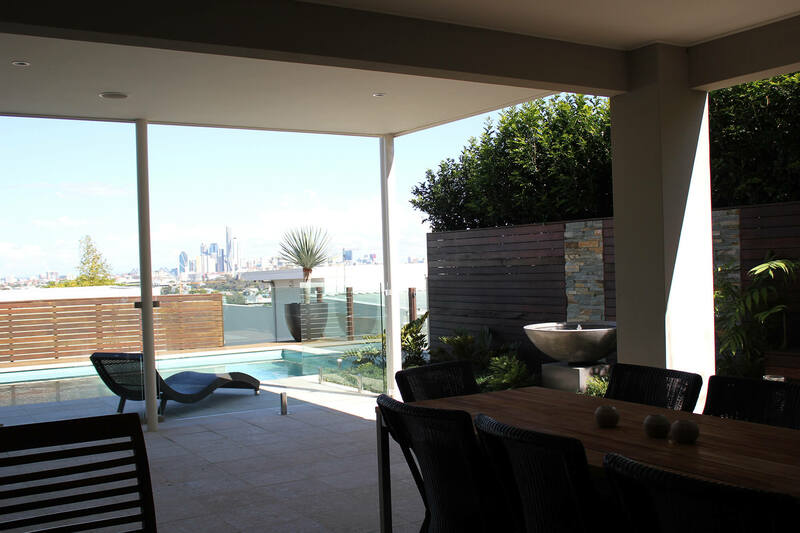 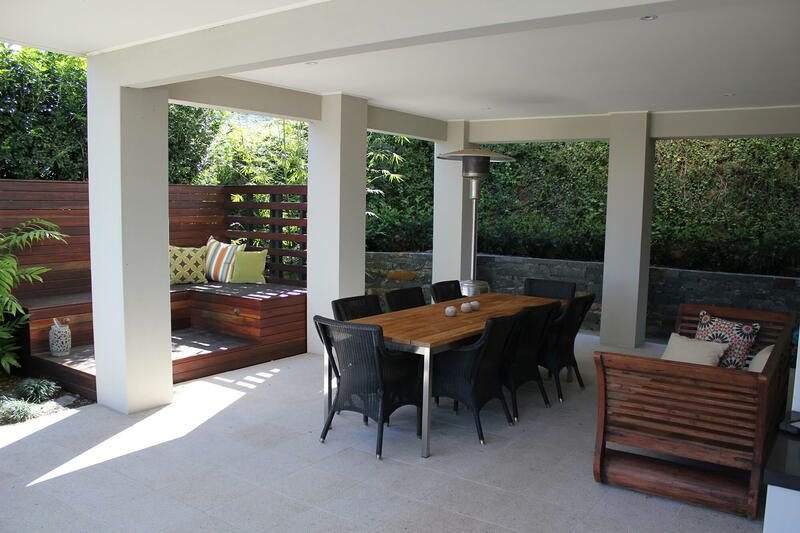 The timber screen & day bed enclose the area creating an outdoor room. 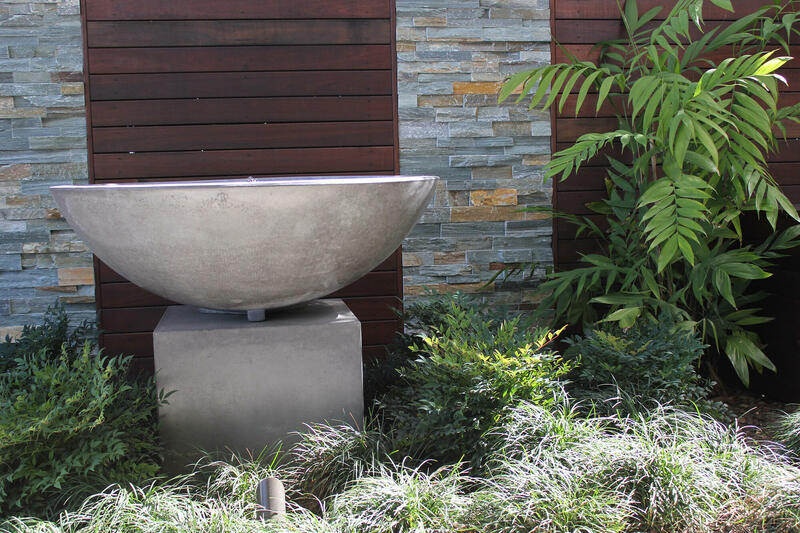 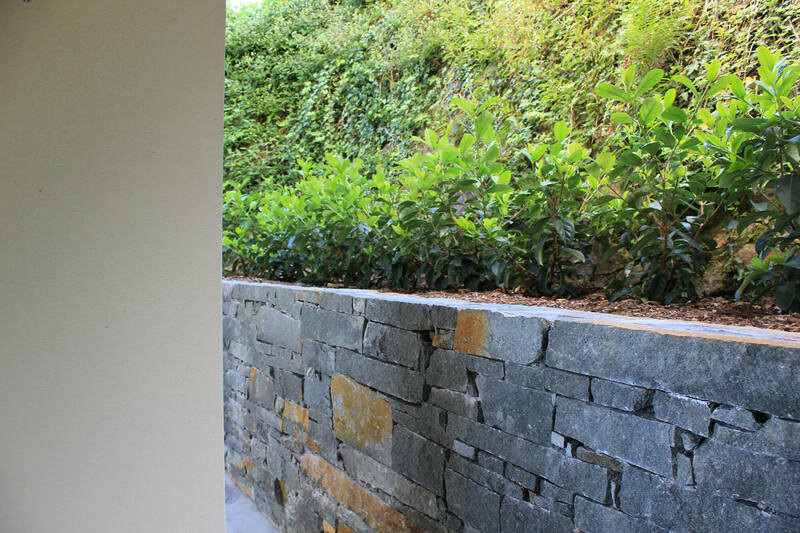 Low maintenance planting, water bowl & outdoor lighting complete the garden.